"The Whole day was truly perfect and SURPASSED all expectations"
Alex and Corinne kept their day beautifully simple. This stunning couple were married on The Deck overlooking a sun soaked bathurst before having their photos taken in The Grove. We met playing mixed indoor soccer in January 2010. The amazing thing was that we WEREN'T actually meant to be playing at all but we both ended up filling in for friends who were part of the team but were unavailable for a few weeks. Im not sure what the odds of that happening are but im sure they're astronomical. We got to know each other and after a few weeks went to watch a soccer match together where afterwards we shared our first kiss. A few days later we went on our first proper date together. After that we grew closer and closer together through our love of football, travelling, friends and family. We got engaged while travelling around Sri Lanka in late 2015. I (Alex) had planned it all long before we left and had a ring made a couple of months before our trip. Corrine had absolutely no idea and never suspected a thing, Both of our families knew about it and everyone thankfully managed to keep it a secret. The proposal occurred in the city of Kandy. We were staying in a really nice boutique hotel and had a relaxing day enjoying the pool and great food. I decided to pop the question that night while we were having some drinks on our hotel room balcony as the sun was setting.At first Corinne looked confused because we had been to a gemstone mine and jewellery factory the day before and thought i had bought a ring there. Lucky for me she soon realised what was happening and said yes! The Whole day was truly perfect and suppassed all expectations. EVERYTHING went to plan without a hitch and we were extremely happy with everything. - Firstly the ceremony was amazing. Having it outside on the lawn with the stunning views behind us made it truly special. - Secondly taking the photos on the property was really memorable. The backdrop was incredible and the fact we could stay on the property and not have to take too much time away from the party was great. We were delighted with how the photos came out. - Last but not least was the dancing at the end of the night! The band was great, all the formalities had been done and our guests could really let their hair down and have a good time. Some of the highlights from the dance floor included Corrine's 90 year old grandmother joining in on the dances and Alex's mum joining in too on her motorised scooter. We chose Boxgrove because it was the only place that ticked all the boxes for us. 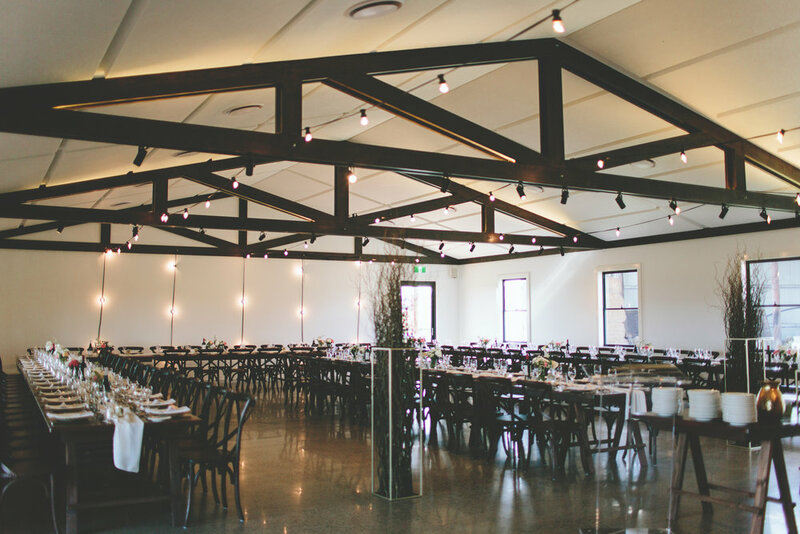 Basically we wanted a location that was outside of Sydney, that could host both the ceremony and reception, was big enough for the number of guests we had, wouldn't force us to finish the party early and was available on the date we wanted at a reasonable price. Boxgrove was the only place we saw that could offer everything we wanted. 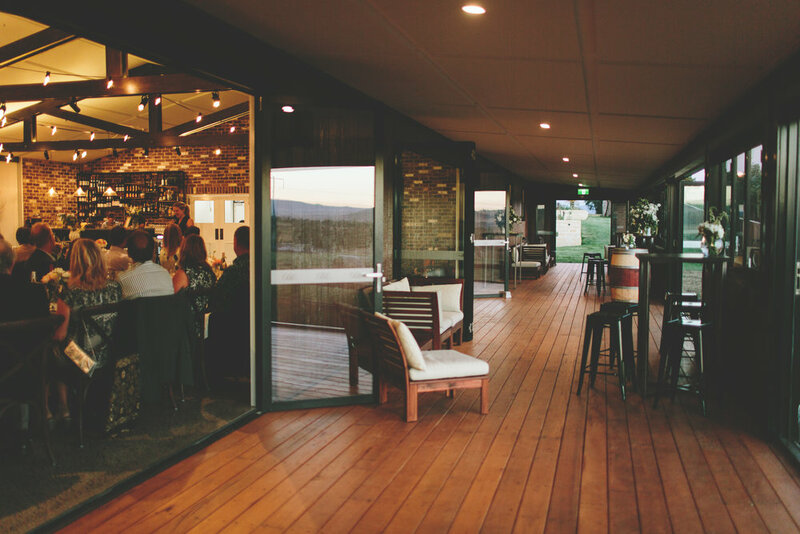 On top of that, once we saw the beautiful location, the onsite salon and the brand new barn we just had to say yes! We were so glad we did as Kayla, Ben, Melissa & Ben made the entire day seamless with all the hard work they put in and were an absolute pleasure to deal with. Alex and Corinne treated their guests to the delicious food from brazilian bbq catering with a banquet of smoked goodness and a dessert table to die for! 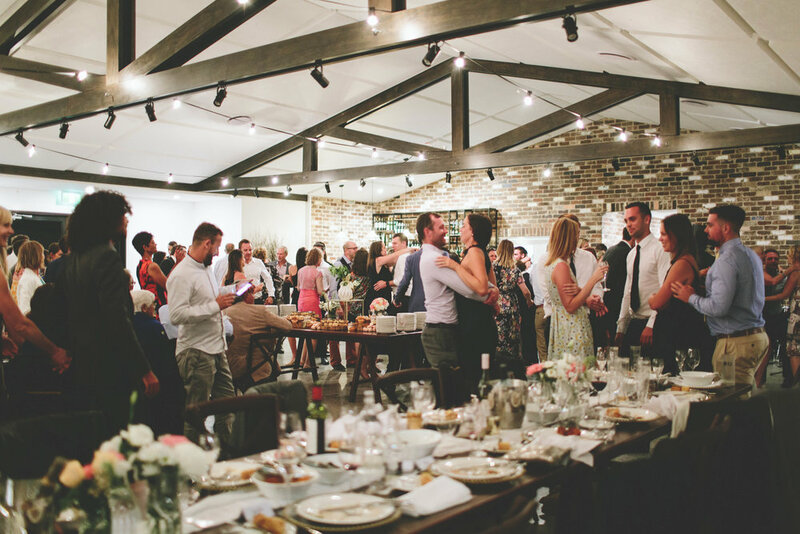 They danced the night away with their friends and family under the festoon lighting in the barn and returned the next morning for a recovery breakfast as the newly wedded mr and mrs Felman. The flowers were crafted by Maddie at Ivory rose, hair and make-up by the team at Luxe Hair and Body, happy snaps by Tilly at Tilly Roberts Photo and the day was styled by the team at BoxGrove. This wedding was simply beautiful!